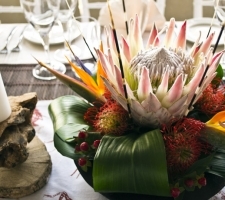 We live in a beautiful multicultural country which lends us a huge scope of creativity when it comes to traditional and African inspired weddings. 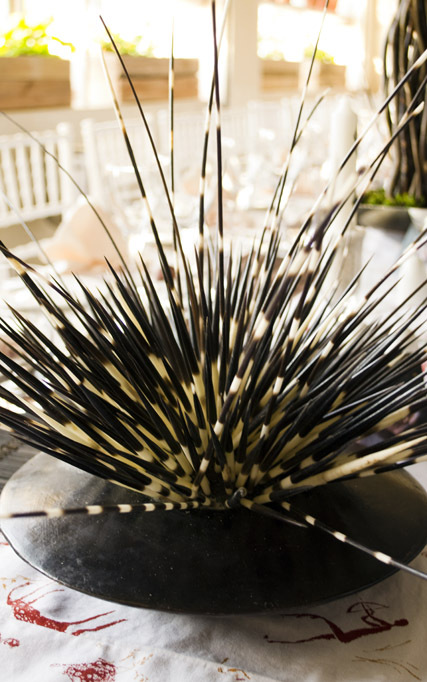 The modern African bride is proud of her heritage and showcasing this in a wedding is bold and rewarding. 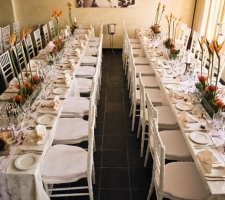 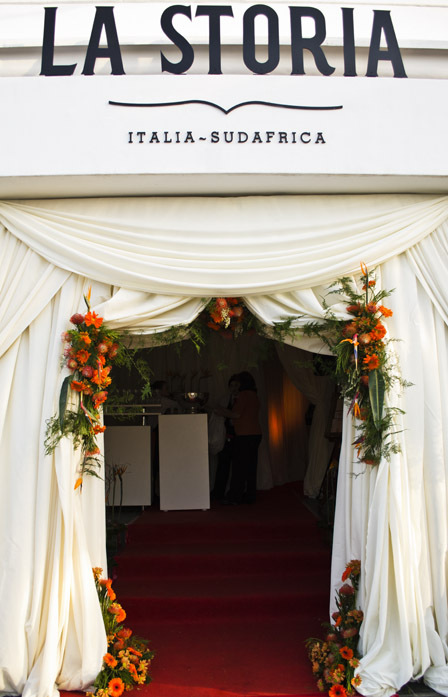 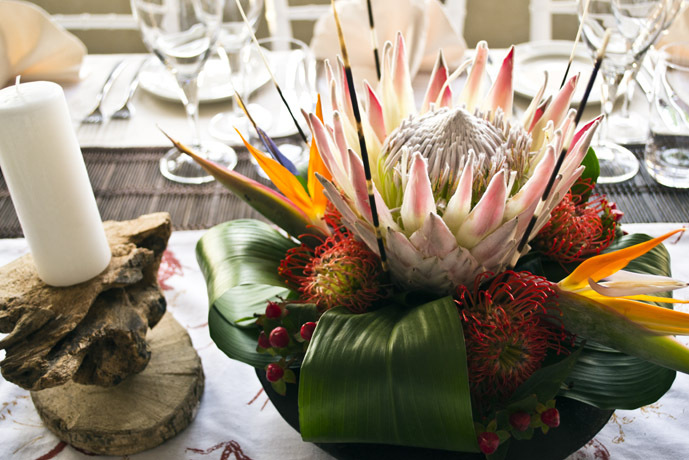 Being blessed with truly beautiful flowers such as Proteas, Strelitzias and an array of Fynbos, we are able to create a wonderful Proudly South African, modern styled wedding for the discerning African woman. 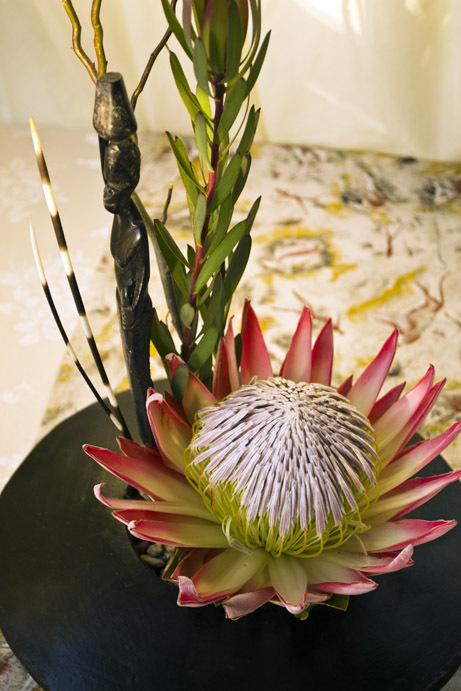 ShweShwe printed fabrics are an exciting addition (and hugely on trend at the moment! 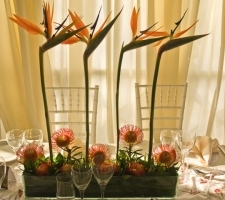 ), lending their bright colours and geometric prints to the setting. 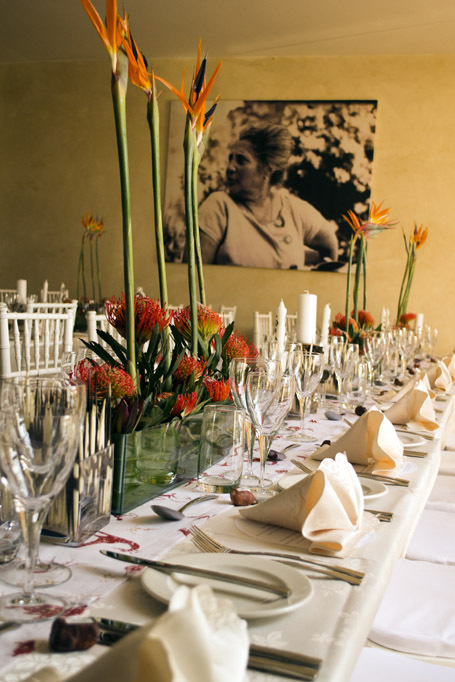 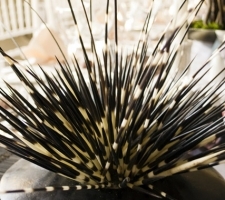 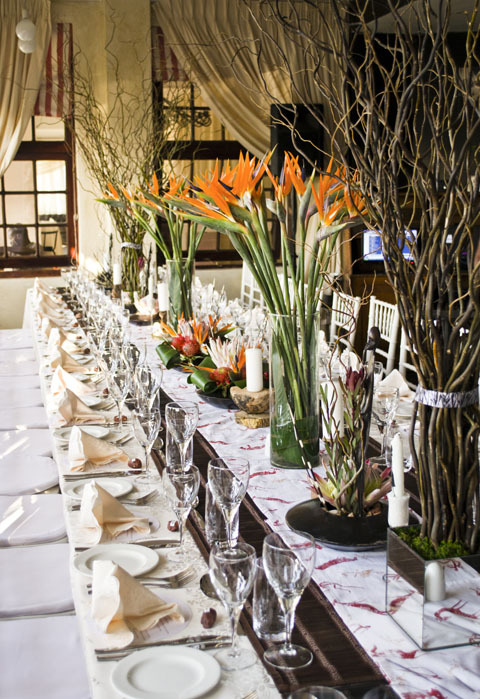 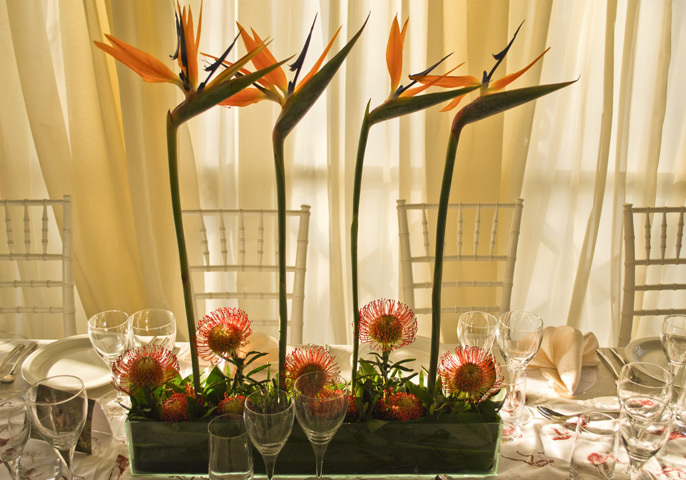 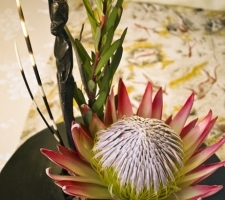 Alternating height vases filled with our beloved Proteas, Pincushions Strelitzias, torched willow and our signature African porcupine centrepieces gives the sense of home and heritage. 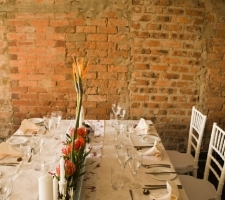 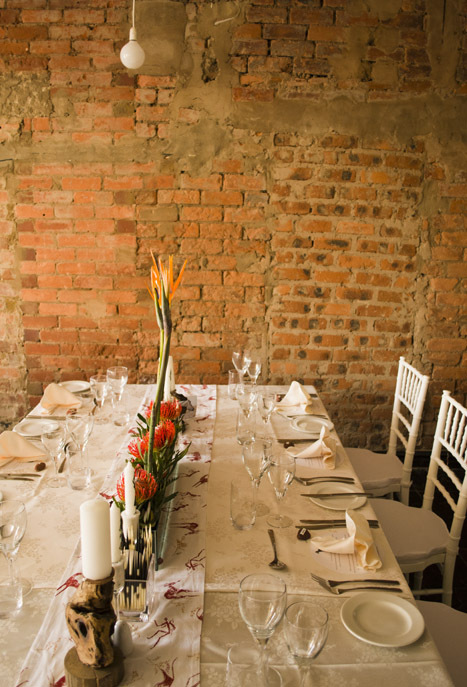 Toned down with cream linen tablecloths and napkins with hints of rustic wooden elements such as drift wood candlesticks and wooden runners really allow the floral centrepieces to add warmth and colour to the raw brickwork room. 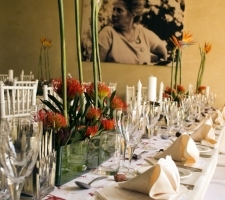 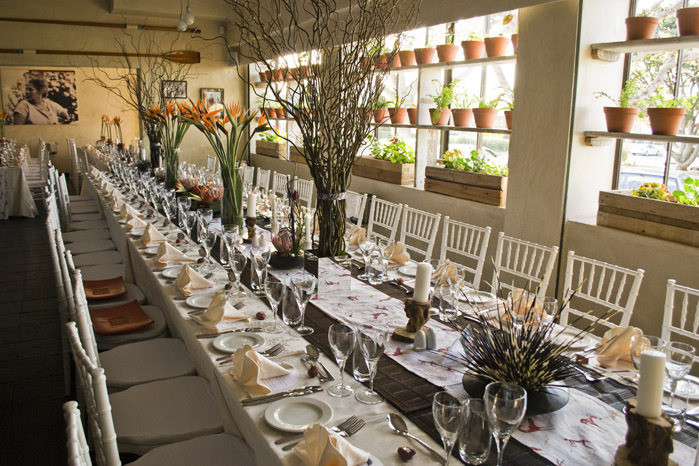 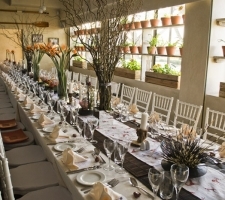 Lemontree Concepts ensures originality, creativity and character equal to the needs of each wedding! 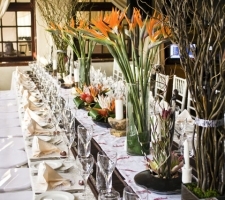 There is no job too big or too small, we will handle all your wedding needs and our attention to detail is next to none. 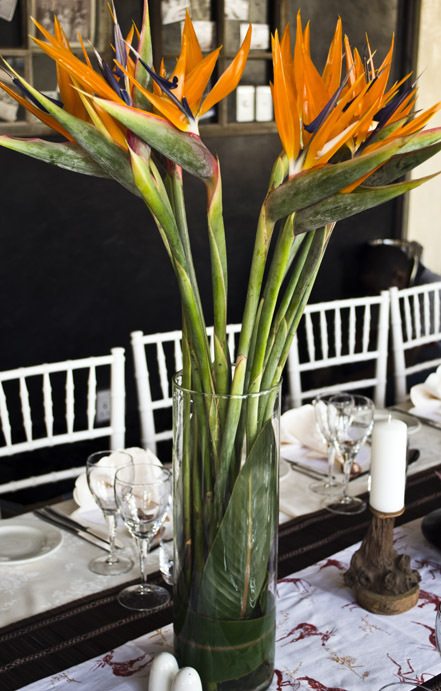 Try us for your special day and let us make you one of our next happy customers. 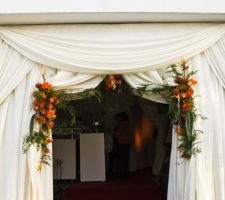 Chat to us today and find out how we can help you achieve the wedding of your dreams. 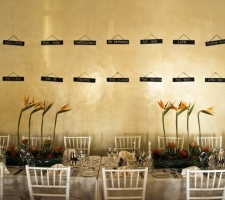 Lemontree Concepts has designed and co-ordinated many memorable events for the bride and groom on their wedding day. 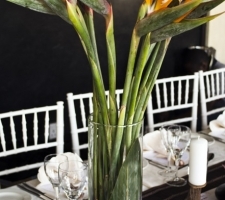 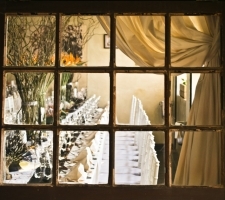 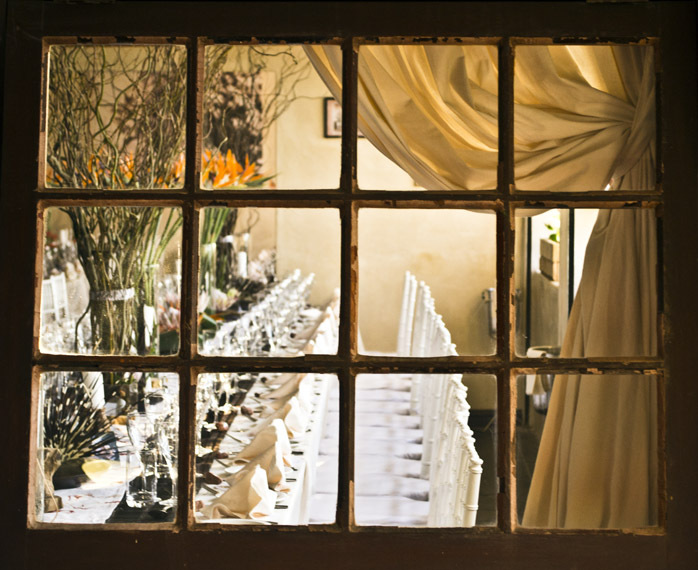 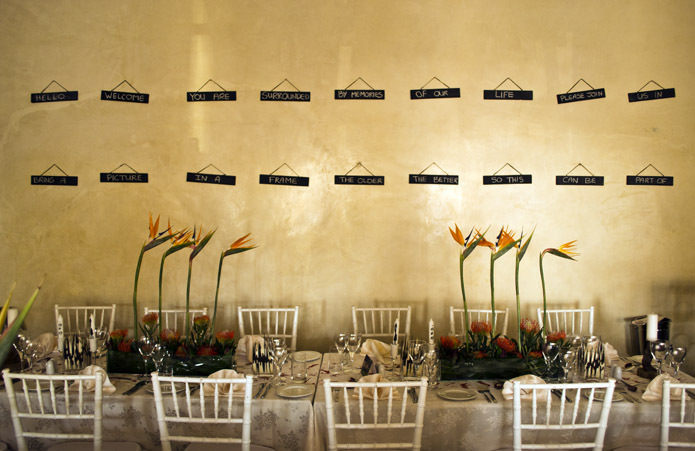 Our expertise extends from recommending a venue to organising the flowers, and every decor-related thing in between. 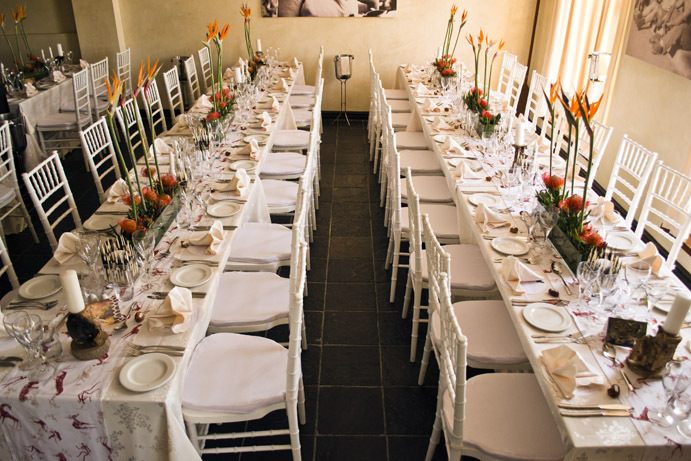 If you want your wedding day to be filled with happy memories the don't hesitate to contact us today to find out how we can assist you.